Presenting the Pora Mon Song Lyrics which is Sung by Raj Barman and Trissha Chatterjee. 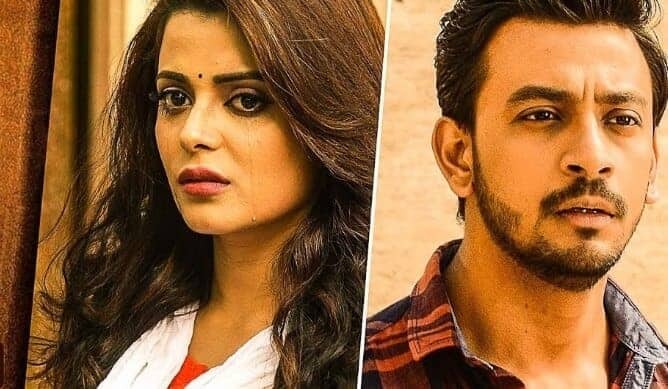 This song is from the Bengali movie Ke Tumi Nandini and the star cast of the movie includes Bonny Sengupta and Rupsha Mukhopadhyay. Music of this song is composed by Amlaan and Pora Mon Song Lyrics is penned by Prasen. Stream the song and listen to the Audio of Pora Mon on Gaana.